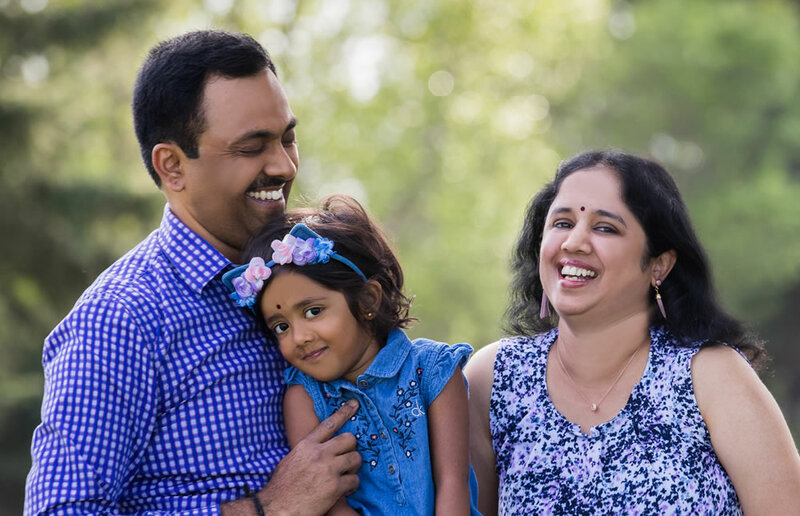 When Muthiah, Nithya and their daughter Priya came to Canada in 2015 they knew there would be challenges, but they also knew there would be opportunities. One of the things that motivated Priya’s parents to make the move was to give her more educational opportunities. The chance to have her learn through play in a classroom setting was especially appealing and Priya has thrived in the e4c Early Learning environment at Southwood Community League. Research has shown that the earlier children receive necessary supports and interventions, the better they do in school. e4c Early Learning offers three distinct streams – Early Head Start, Early Education, and Head Start – for children from 0 to 5 years, with a goal of helping families access the kinds of early interventions that can help kids succeed in school and in life. Muthiah and Nithya also welcomed the chance to have Priya assessed by a speech pathologist and the reassurance that came with the assessment. Since Priya began the Early Learning program, both parents have been impressed by the way the program works to holistically help and support the entire family. The Early Head Start stream serves children 3 years and under and involves a once-a-week parent group led by family support workers that focuses on a wide range of topics, including everything from parenting skills, and child development to financial literacy. Both the Early Education and the Head Start streams also include weekly parent support groups. All three streams are based on a learning-through-play philosophy and offer a nutritious snack to teach children and families about healthy food choices. Coming from the warm climates of southern India, the parents have embraced life in Canada. While they dislike black ice, Muthiah anticipates that he may end up taking Priya to early morning hockey practices if she shows an interest in playing, but right now she likes soccer.